Kate Neale is the principal of Wanted Consulting. Kate's career has traversed all manner of strategic and creative business and marketing ventures, particularly in the media, entertainment and financial services industries. Working closely with founders and executive management, Kate has provided her skills to assist many companies to bring the new and innovative to market demonstrated an intuitive talent for marketing long before her academic qualifications and industry accreditation were achieved. In fact the AMI (Australian Marketing Institute) and PRIA (Public Relations Institute of Australia) have often turned to Kate to produce their own marketing initiatives, Awards events and education. 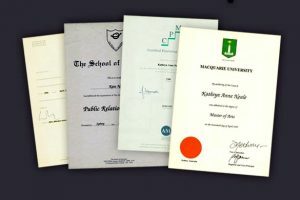 Kate holds a Master of Arts in Business (Marketing) from MGSM and has been qualified as a Fellow (AFAMI) and Certified Practicing Marketer (CPM) with the AMI (Australian Marketing Institute). Kate also holds a Public Relations Certificate from the School of Journalism, Certificates in web training and her work has won Awards from the AMI and numerous trade exhibitions.